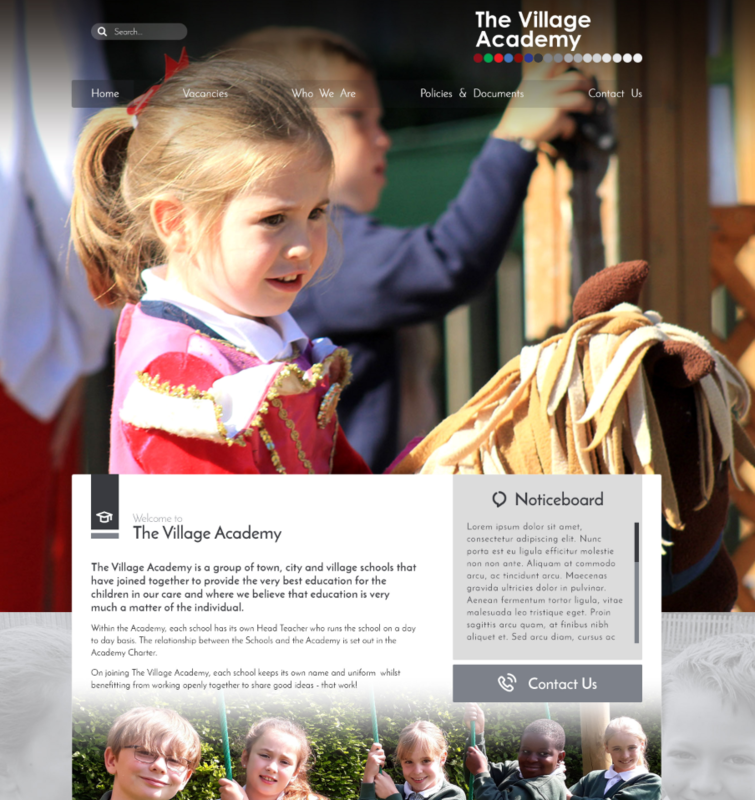 The Village Academy Trust: A beautiful group of trust school websites. 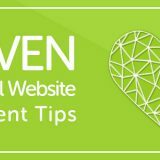 Trust school websites can present unique school website design challenges and there are extra considerations throughout the process. In this article we run through the most important things to consider. 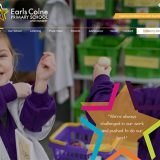 Would you like each Trust school website to be unique, or to share a common theme? This is recommended because it helps create a strong branded look. 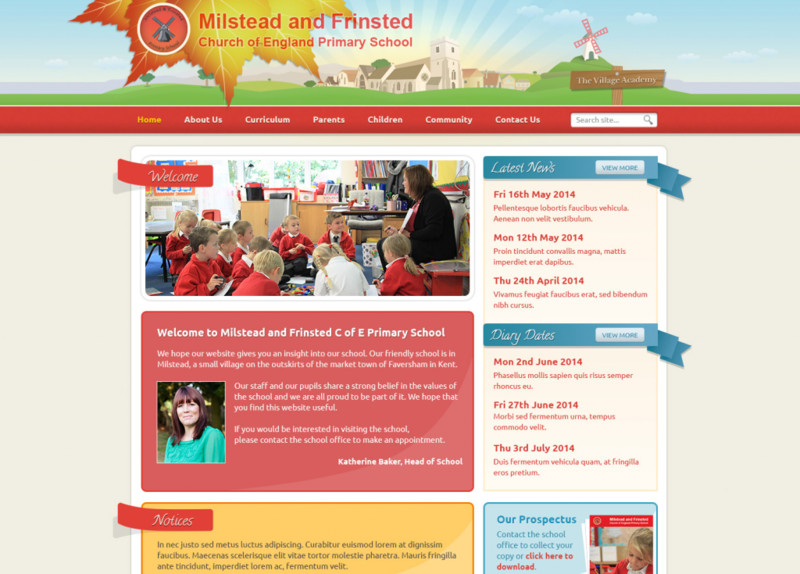 Which Trust school website is the most important to be completed first. Would you like the Trust website to also reflect the look and theme of the group. Bear in mind, it will likely have different requirements (more on this later). 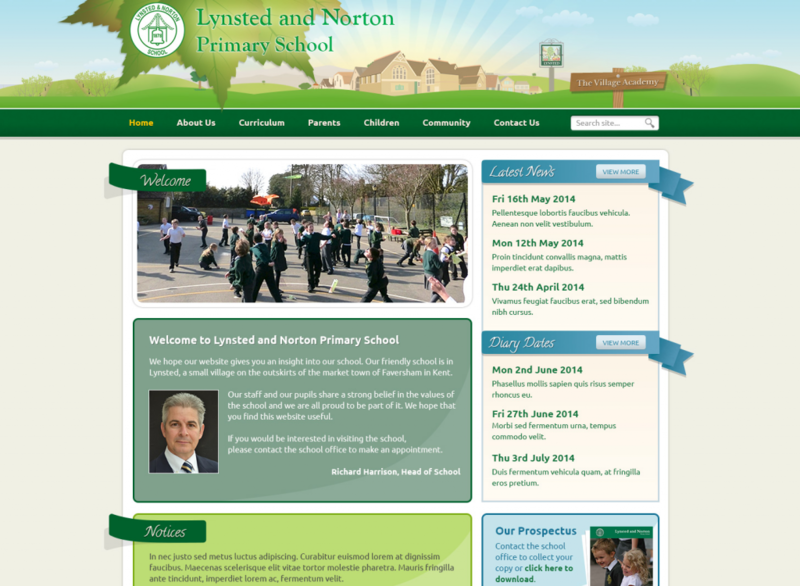 How would you like the Trust school website overall theme to reflect the identity of the Trust? 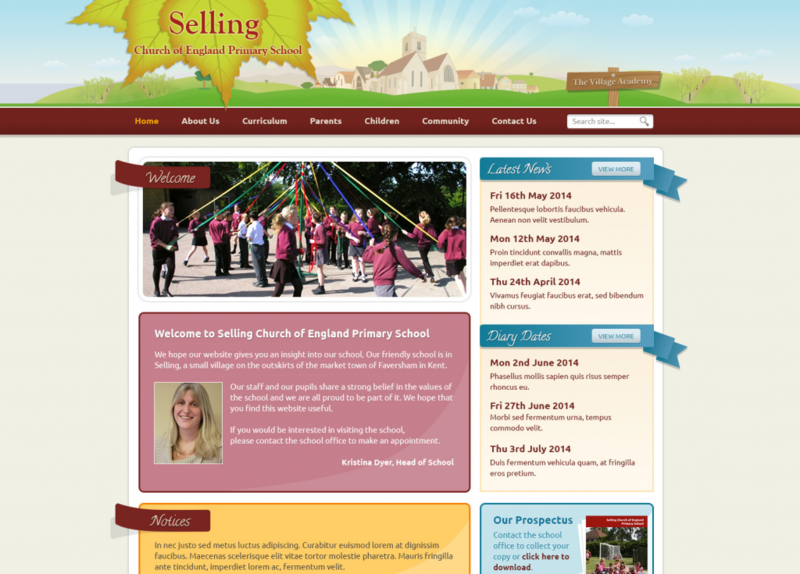 The design of these Trust school websites is a little dated, because they were designed a few years ago now. But, they each succeed in using a common look, while retaining their own identity. The colour highlight on the leaf motif is a nice touch. 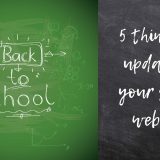 As previously mentioned, Trust school websites might all share a common theme, while their trust site is a little different because trust websites themselves often have different requirements. This is a good example, because there is much less need for the trust website to publish diary dates for example. The Village Academy Trust website is still clearly part of the family though. 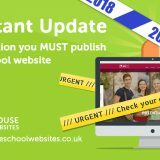 Sometimes, a Multi Academy Trust may wish for their website to look a little more corporate/business than the associated Trust school websites because their target audience is often different to that of schools. 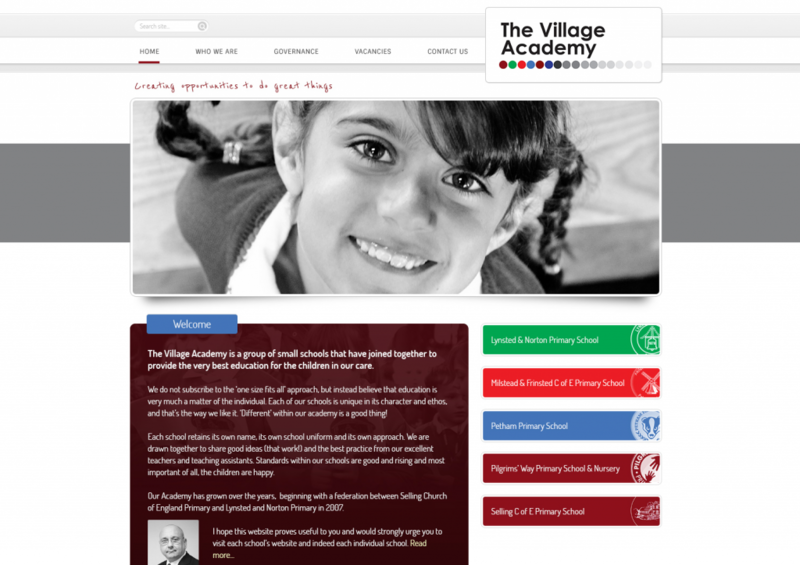 The redesign for The Village Academy Trust School Websites. Earlier this year, in 2018 The Village Academy Trust contacted us with good news; Dymchurch Primary school would be joining the Trust. 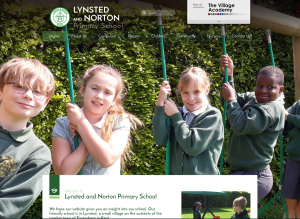 With that addition, they thought it would be a good time to consider a fresh new look for all the Trust school websites because design trends and standards had moved on considerably over the past five years. 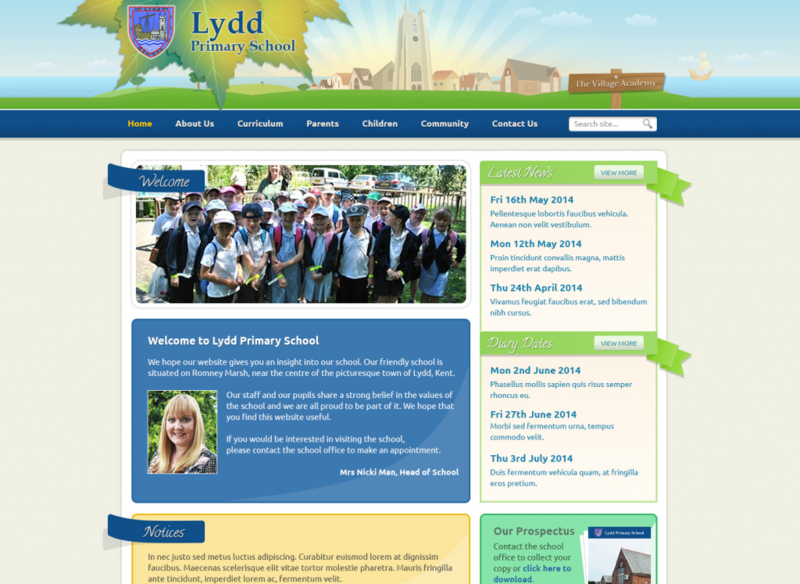 This time, we started with the design for the new Trust school website for Dymchurch as a pathfinder. 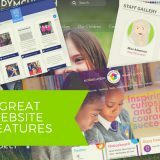 They really liked the website we provide for Cranmer Primary School in Merton, which is a bit of a Greenhouse School Websites classic. They liked the welcome with a photo at the bottom. Also important of course was a link to the main Trust website. 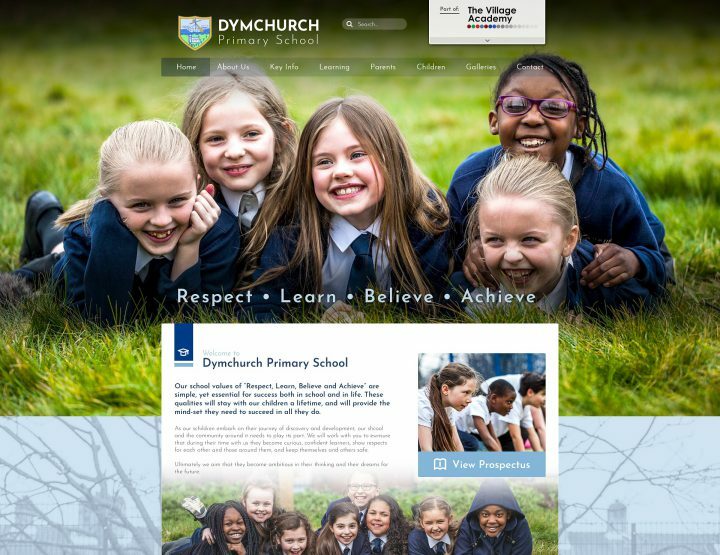 Then, while retaining the layout and key design aspects of the Dymchurch website, Greenhouse then set about re-designing the rest of the Trust school websites. 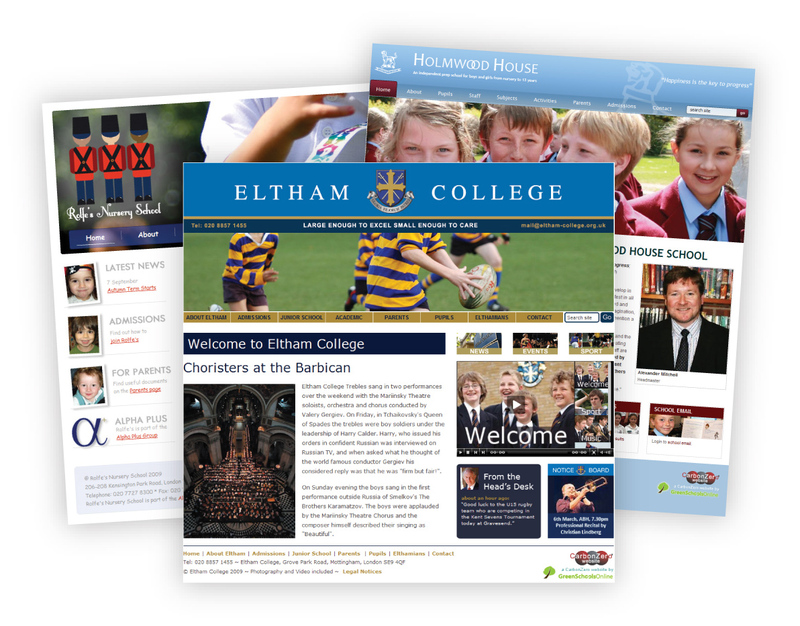 Each school kept it’s branding, colours, logo, photographs and content. 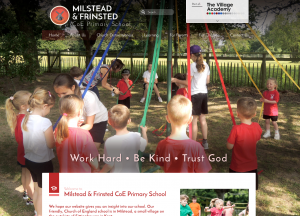 Finally, we applied the new look to the Village Academy Trust website. When doing this, the first place to start is by working out what you’d like to remove or replace from the trust school website design. For example, the news and diary dates panels were removed because the Village Academy Trust did not have a need for them. Also, because the Village Academy Trust school websites all feature a prospectus link, this was replaced with a noticeboard for the trust website, as this is much more useful. Next, is to work out what you’d like to add. 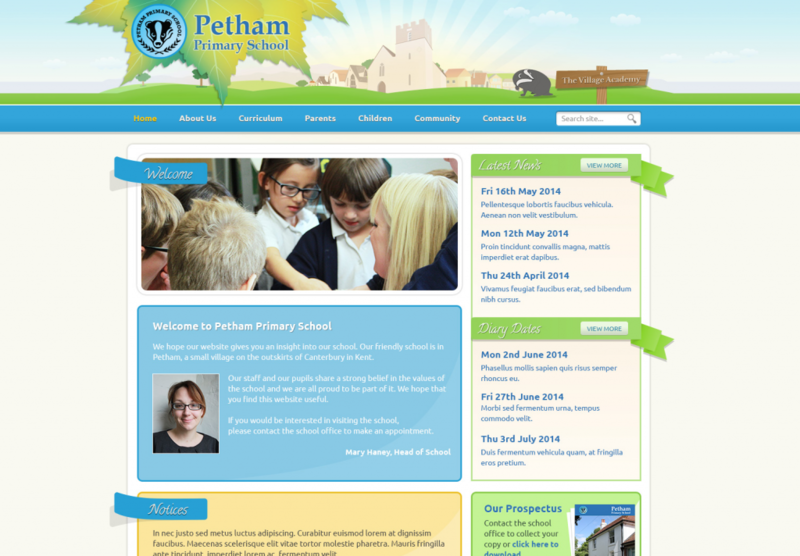 Often, visitors to a Trust website would like to have a direct, easy link to the trust school websites. 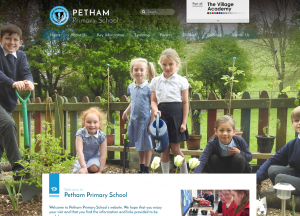 So, with the Village Academy Trust, we placed a panel with thumbnail links to each school. We did something similar for The Howard Partnership Trust in one of our previous posts. 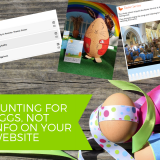 Not only are there cost savings associated with a group look for Trust school websites. 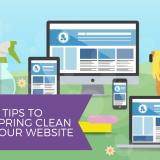 There are further savings when redesigning websites already with Greenhouse. 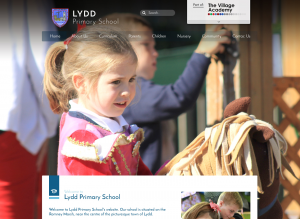 The Village Academy also benefited from some new CMS features. Another benefit of a redesign is that all your content stays in place, while the new design is applied as a new skin. 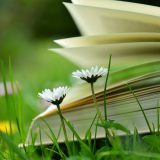 So there’s no need to repopulate the content from all your hard work! 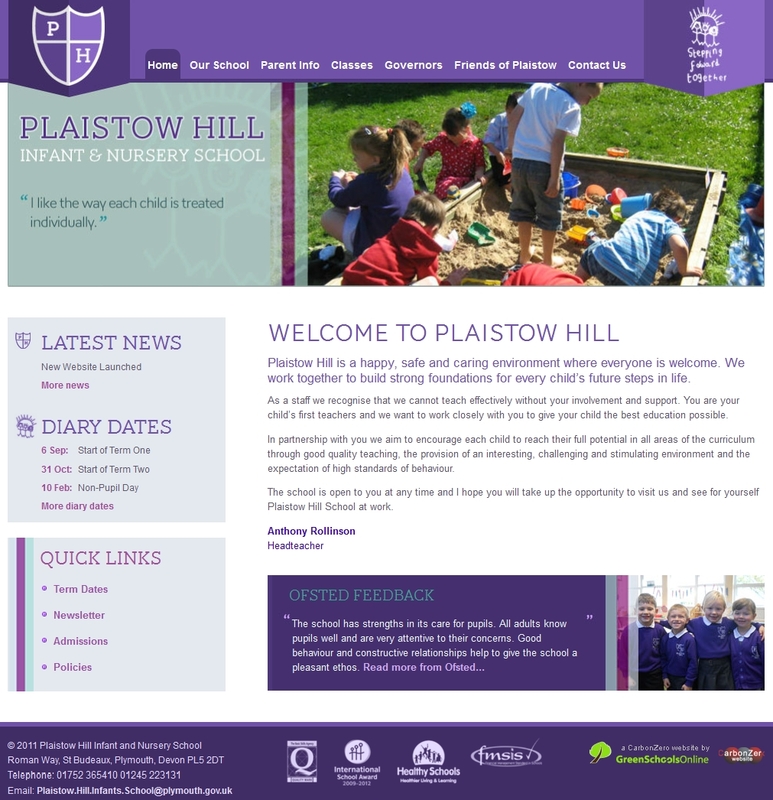 If you’re not with Greenhouse School Websites already and would like to see more of our beautiful designs, here is our portfolio. 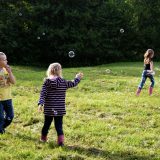 For another example of group look Trust school websites, have a look at our blog post on Clevedon Learning Trust.